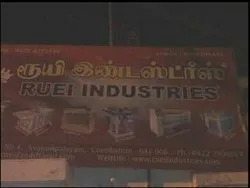 Established in the year 1995, we "Ruei Industries" are the leading manufacturer and exporter of a wide range of Edge Banding Machine, Multiple Boring Machine, Hot and Cold Press, Membrane Press Machine, etc. We also offer Edge Banding Machine Maintenance Service. We are the first to introduce woodworking machine in South India. One of our specialities is that our woodworking machines are in high quality, heavy duty and economical comparing to others. Best assurance is given for quality, guarantee and after sales service. The company offers viable solutions to difficult challenges in ensuring stringent quality standards and ensuring cost competitive production. The company believes in long term supply relationship through dependable and timely deliveries at globally competitive prices, focusing attention to the minute detail in individual customer requirement. Under the guidance of our mentor Mr. S. Pandurangan, we have gained a huge expertise in this domain. We have the support of sophisticated infrastructural facility so as to suit the increasing requirements of our clients. 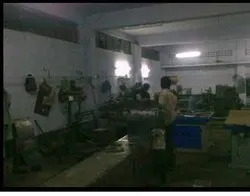 Our infrastructural facilities include highly equipped manufacturing facilities capable of producing products in bulk. In addition to it we also have the privilege of having a well managed ware house to store bulk inventory so as to be enough competent for satisfying possible high demands. 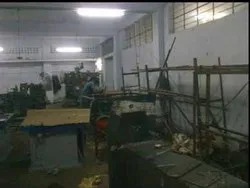 We have the facility of a huge manufacturing unit near about 4000 square meters in dimension which is located at Coimbatore Tamilnadu (India) .The machines we use for the manufacturing process are advanced and highly productive. Enabling us to use our resources at the utmost level, we are guided by a team of qualified and highly skilled personnel. Our team is continuously working to provide new and improved products for our clients. Our well organized team comprises of intellectual professionals, quality checkers, warehousing and packaging staff, sales and marketing professionals. Special care is taken to conduct regular inspection of our products at various stages. Being the leading manufacturer, exporter and supplier of wood making machinery, we are appreciated for our quality products and services. With a vast corporate experience and industrial expertise, we have revealed new and innovative ways of serving our customers by the providing qualitative wood making machines. We have the privilege of being the masters of our concerned field. Our dedicated and progressive approach has made us the leaders.